Currently I am awaiting for Texas to make up it’s mind in regards to whether or not winter is over. Right when I think that winter is finally done with BAM! Its back! 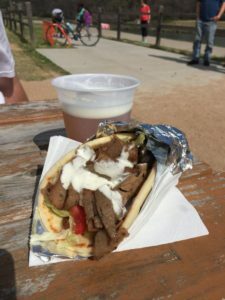 I write this without consulting weather.com in hope that I’m not jinxing the great weather we’ve been having because I am ready to really utilize the clear fork food truck park with some nice weather down by the Trinity River. That means its time for some Fort Worth food truck love! 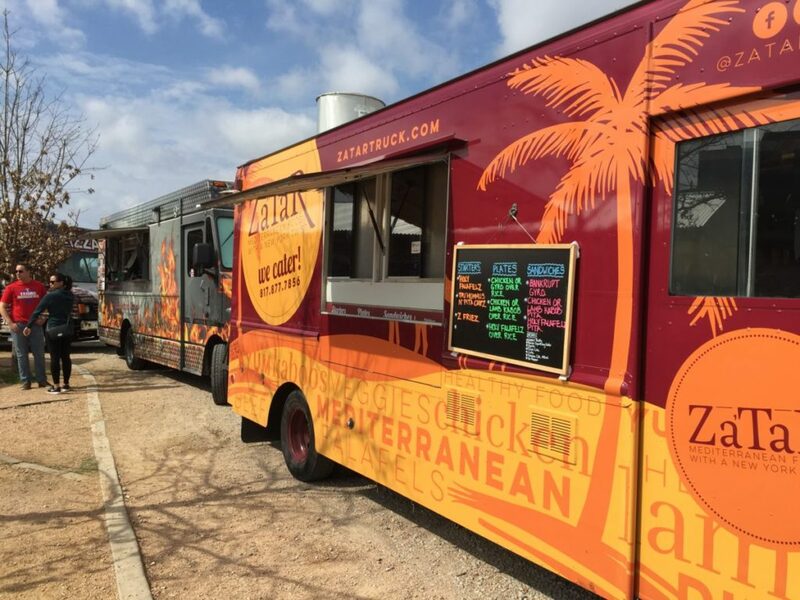 This time we are spotlighting ZaTar Mediterranean. 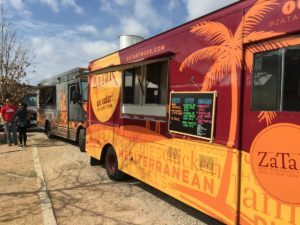 Now the Fort Worth food truck scene has definitely grown and although its not quite as large as other cities, it is still pretty competitive. I have a love/hate relationship whenever I go to the food truck park because I find myself making laps around the grounds for a good bit of time because I can’t commit. I want from truck to truck looking at the menu to figure out exactly what it is that I want. Fantasizing about how great it could be if I could mix and match different bits of the food truck menus like it was an amazing and easy ingredient basket on Chopped. Luckily the last time that I was at Clear Fork, the decision was much easier for me. The ZaTar truck really stood out. I really wish I could tell you exactly why. There really wasn’t a certain detail that pulled me in, it just felt right. It could have been a subconscious motivation of the ZaTar truck pulling me in with the aroma of their food caressing my face and pulling me in like an old school cartoon. Like any overweight American, I listened to my gut (literally) and went over to the ZaTar truck and decided that was the truck I was going to have that day. I ordered their gyro and patiently waited at my little picnic table with my wife after getting a beer. In between my pup, Kona, testing out how strong the connection between my arm and shoulder is by trying to chase everything on her leash we took in the beauty of the day and the river. I almost had enough time to have two sips of my beer before my name was being called from the ZaTar truck. They were rather speedy with their service. I head back to my table with my gyro and take the first bite and holy hot damn. It was incredible. It was some good food that wasn’t overly greasy at all. Everything tasted fresh and clean. The tzatziki sauce was refreshing taste amidst the the lettuce, onion, and gyro meat. I can’t tell you exactly what the meat was seasoned with but it was delicious. One of the best gyros that I have had in quite some time. My wife and I love the quality of food that we got that we decided our dessert was going to be an order of falafel from the ZaTar truck. We have never regretted that decision as I know that you wont regret the decision to give this food truck a try. I really cannot recommend this Fort Worth food truck highly enough. There you have it Fort Worth! Get out there and eat!